It is worthy to note that the Indian Parsi Zoroastrian diaspora abroad is accepting children of non Zoroastrian spouses and undertaking their sudra kusti. Zoroastrians from Kurdistan, Tajikistan, Russia and converts who have undergone Sudra Kusti are now considered as Zoroastrian. The Parsi Zoroastrian and those against this trend are being reduced to a small minority. 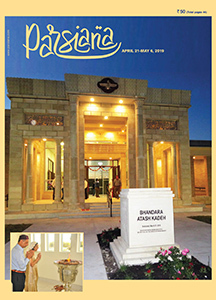 The Indian Parsi Zoroastrian community numbers in India are decreasing but the diaspora numbers are increasing specially in North America and elsewhere.